In the past week, the TRON project continued to run smoothly. Here is this week’s update for all of our supporters, believers and followers. 1. [Architecture] Tested data backup feature. 2. [Smart Contract] Completed the detailed design of the side chain architecture. 1. BTT is now listed on 40 exchanges including Binance, OKEx, Bittrex International, Huobi, HitBTC, Bithumb, Bitfinex, Upbit, KuCoin, Gate.io, Cointiger, Bitbn, TRX Market, Coinspot, Sistemkoin, Exrates, Satowallet, Coinexmarket, MBAEX, Coinex, BitForex, Changelly, Cross Exchange, DigiFinex, Bitpie, BikiCoin, SWFT Blockchain, Koineks, CoinAll, 55.com, BitMax, BitMart, ExShell, AnyBit, ChangeHero, AltCoinTrader, Cachierest, CHAOEX, SPICEX, Coinsuper. 2. Say hi to BitTorrent Live, our new social media application that empowers you to create live video content, connect with people who share the same passions, earn money by expressing your creativity and find friends all around the world. We plan to integrate blockchain technology into the core of BitTorrent Live and return privacy and ownership while enabling a new payment option serving millions of users. 8. 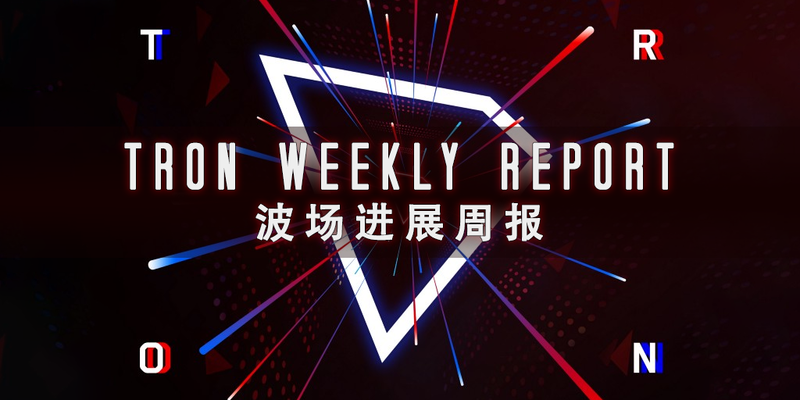 TRON’s founder Justin Sun now has more than 1.1 million followers on Weibo, representing the growing attention among TRON’s global community. Justin’s Weibo will continue to serve as an important platform to share information such as TRON’s technology development and global strategy, etc. We welcome more community members to follow us and join the discussion on Twitter! 1. TronGrid – Released MVP APIs to production environment. Setting up Query Service performance monitoring and improved query performance for addresses. Performing end-to-end testing of block parser. 2. USDT-TRON – Developing Airdrop execution program. Technical integration started with OKEX and Huobi. Engaging BitForex & BigONE exchanges. 3. BTFS – Exploring maximum connectable nodes in IPFS. Setting up end to end BTFS demo application. 4. 3.5 Upgrade – TRON network upgraded to 3.5. 5. Finalized USDT audit vendor as CertiK. 4. The 10th episode of All About TRON has released. In the video series, the hosts introduce and explain TRON’s development progress through questions and interviews. 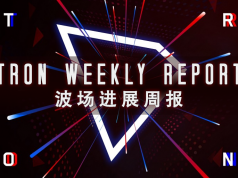 The newly released 10th episode covered the recent major progress and breakthroughs of TRON in details. Previous articleJustin and Vitalik – love and peace or battle intensified?